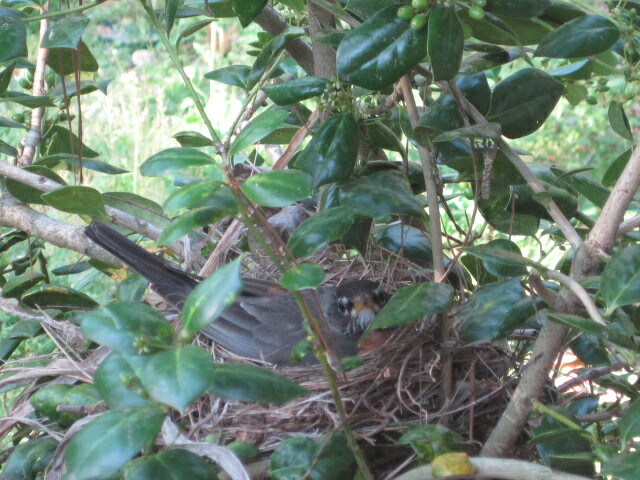 Yesterday was the third day since I discovered four robin’s eggs in a nest in my holly tree. I wandered out to the holly several times yesterday to take some photos of the robin and her eggs. 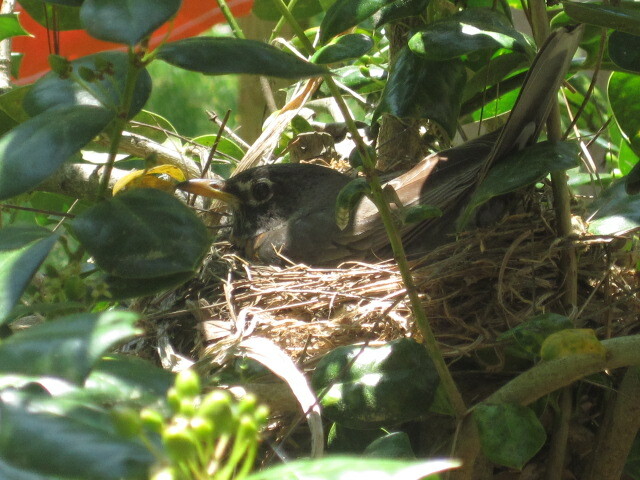 Mama robin was firmly planted in her nest each time I visited, so I never got a shot of the eggs. To those of you who may be worried that I might somehow harm the robin and her eggs, I certainly appreciate your concern. Please rest assured that I never get closer than about five feet from the nest and I am using the zoom function on my camera to take the photos. I, too, want both the robin and her eggs to thrive. You can check out days 1 and 2 of discovering the robin and her eggs here and here.